Explanation: This was home. Just over a week ago, the STS-129 crew of the Space Shuttle Atlantis undocked from the International Space Station (ISS) and returned to Earth. As the shuttle departed the space station, they took the above image. Visible on the ISS are numerous modules, trusses, and long wing-like solar panels. The space shuttle crew spent almost 12 days calling the space station home. 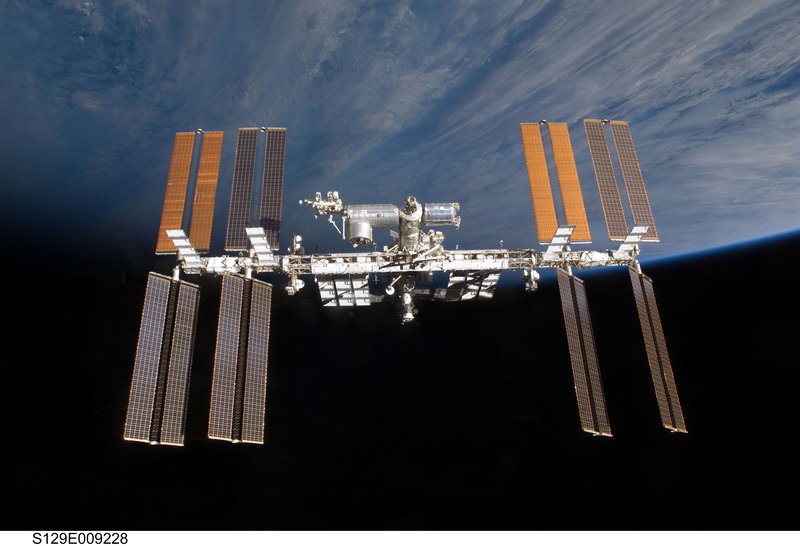 The shuttle crew resupplied the space station and delivered valuable spare parts. 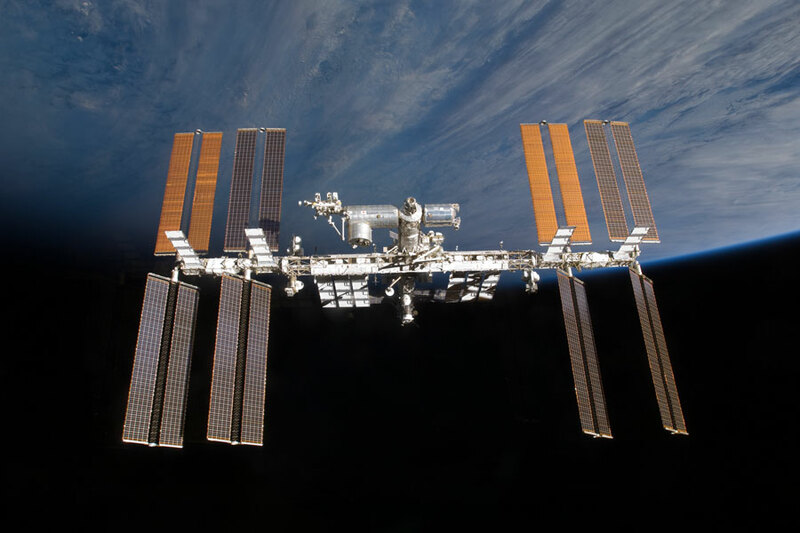 The ISS continues to be home for five astronauts of Expedition 21. The ISS's crew now includes astronauts representing NASA, the European Space Agency, the Russian Federal Space Agency, and the Canadian Space Agency.